I love great soul food, which is why I was so happy my first stop in Myrtle Beach was at the locally famous institution Big Mike’s Soul Food. 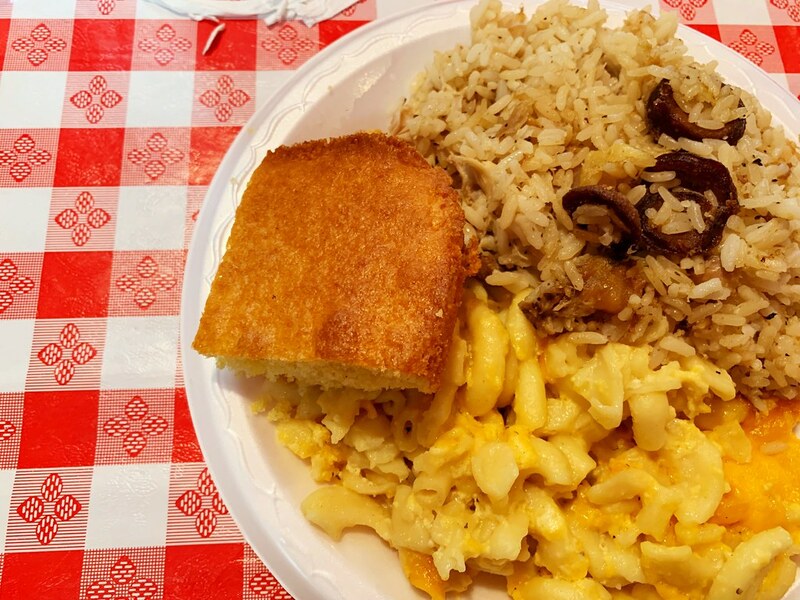 Known for some of the best homemade food in the area, there were a lot of items on the menu that sounded great, but my eyes immediately went to something new to me – chicken bog. If I find a local dish that is foreign to me, I almost always try it and I’m so glad that I decided to order this mysterious Low-Country classic. Like most great comfort food, chicken bog is also incredibly simple. Thanks to centuries of rice production in the region, you’ll find it as the basis of many dishes, including bog. Made with a generous amount of wet rice, chicken, sausage and seasonings, it’s a hearty but delicious meal and – for me at least – was the perfect introduction to Myrtle Beach. Like most cities around the country and world, Myrtle Beach is enjoying a culinary renaissance of sorts. Young, creative chefs are opening up new restaurants all the time, showcasing unique ways to show off local ingredients and the results are amazing. 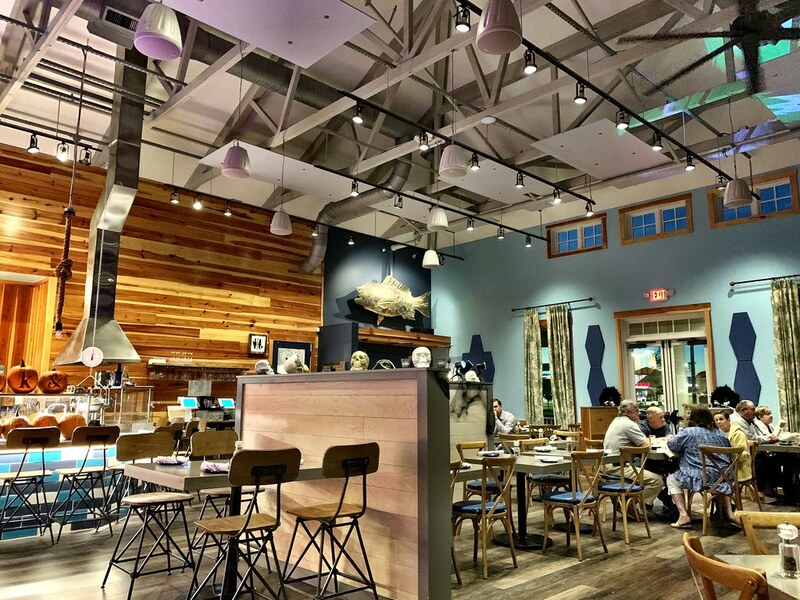 In Myrtle Beach, one of those standout eateries is the still-somewhat-new Hook & Barrel. The restaurant is very much focused on reducing environmental impact, and they do so in a variety of ways. It starts in the dining room itself, with everything made from sustainable resources and even eco-friendly “paper” products. This commitment though is naturally best seen in the menu, which is carefully crafted using locally sourced and sustainable items. Now, most people who visit opt for their incredible fish and seafood, but even someone like me who doesn’t eat those particular items was spoiled for choice. While the entree and dessert were both incredible, I was won over by the seasonal starter, the best pumpkin bisque I’ve ever had. Creamy with a sprinkle of cinnamon and served with homemade bread crisps, it’s a dish I know I will dream about for years to come. As I quickly learned, off-season in Myrtle Beach is the ideal time to visit. In late October, the weather is still perfect but the crowds that fill the streets in the summer months are long gone. That meant when I arrived to the Strong Waters Craft Cocktail & Kitchen in downtown Myrtle Beach, I enjoyed incredibly personalized service. The space is well designed but casual, the perfect setting for a restaurant committed to locally sourced foods made with flair. I decided to try a variety of their small plate dishes, since I couldn’t decide on any one meal, and I was well rewarded for my indecision. The best bite of the evening through was the pork belly taco. 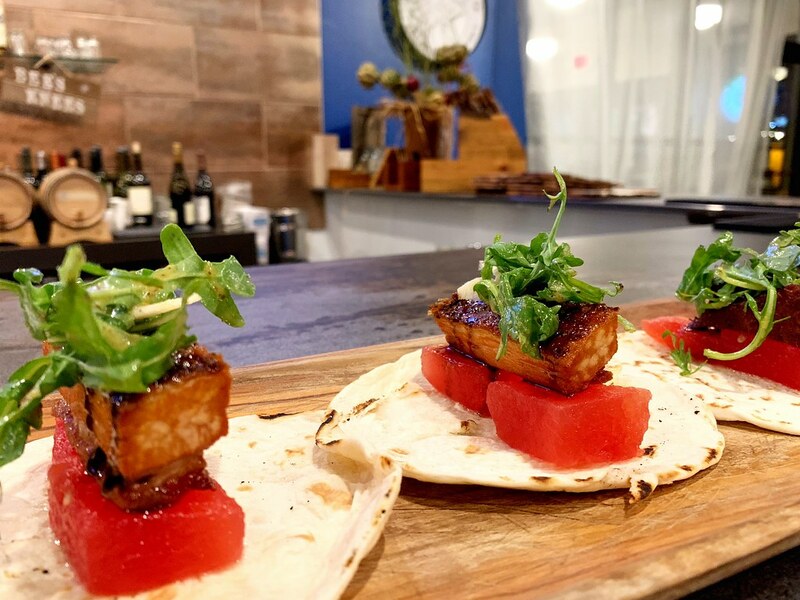 Made with Chu Sui glazed pork belly and served with watermelon, arugula and fennel salad, it was truly an amazing dish. Followed up with other equally tasty bites like the goat cheeseburger sliders and “Farm to Shaker” cocktails, and this new restaurant is one that I know will quickly become one of the region’s brightest culinary stars. Reading through this list of delicious bites and dishes, you probably have noticed something missing – fish and seafood. While Myrtle Beach does indeed serve some of the freshest meals taken from the sea, it’s not something I can eat. Believe me, I’d love to be able to enjoy a freshly caught fish or enormous lobster, but I can’t. But in Myrtle Beach, even at the region’s most famous seafood restaurants, there’s plenty else to enjoy. 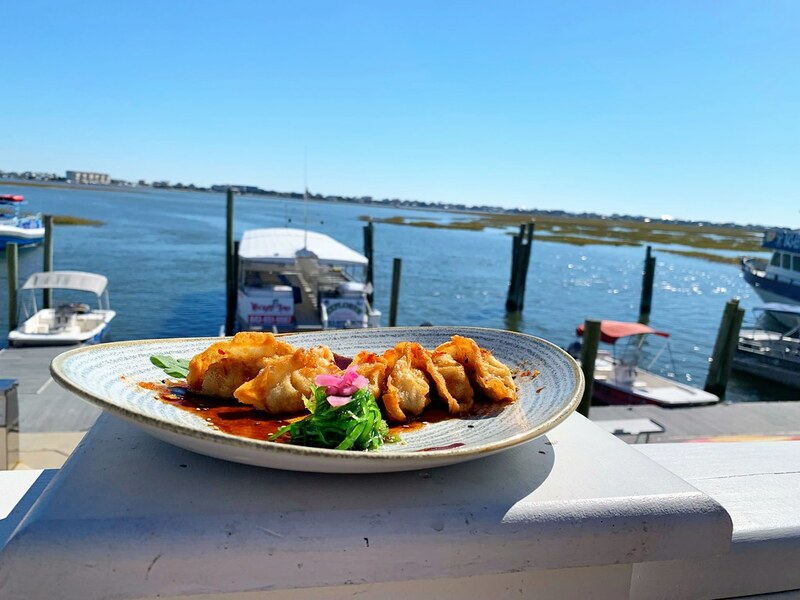 I do though want to talk a little about an amazing restaurant I visited for lunch one day because, if you do like fish or seafood, then this is a place you shouldn’t miss – Wicked Tuna. This large restaurant on the water exemplifies Hook to Plate dining in every way. Adjacent to the restaurant’s docks are their fishing boats that go out daily in order to catch the menu items used in the kitchens. As soon as the boat returns, staff prepare the freshly caught delicacies and they’re served up to patrons that day. It literally does not get any fresher, and their commitment to both the environment and sustainability is nothing short of extraordinary. Don’t worry though if you’re like me and don’t eat fish or seafood, their expansive menu has plenty of other items to love, especially their steaks, which are another one of Wicked Tuna’s specialties and, from experience, are truly exceptional. Be sure to visit around sunset though when a spot on their patio is one of the hottest seats in town. My favorite meal of the day is breakfast and I often find myself enjoying it no matter what time of day it is. So when I heard about what are purported to be the best waffles in Myrtle Beach, I couldn’t stay away. 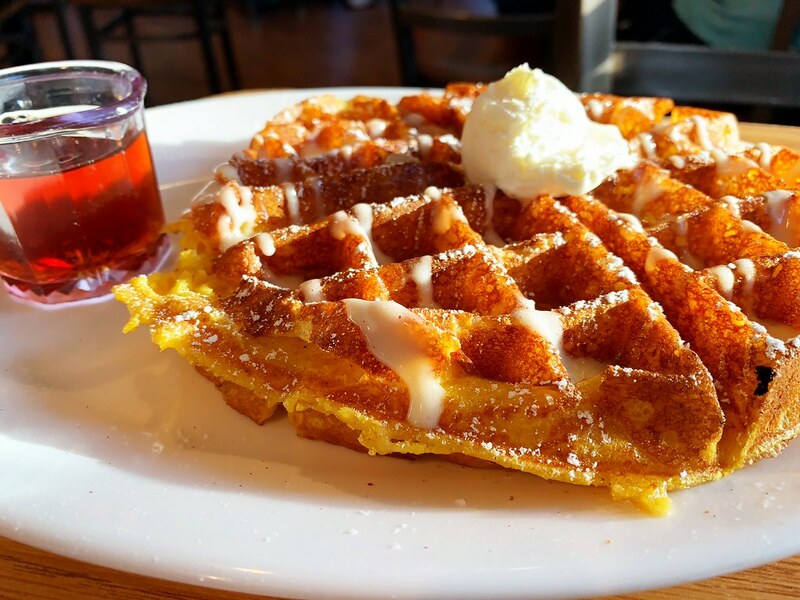 Johnny D’s Waffles and Bakery isn’t your run of the mill diner though, far from it. Let by CIA-trained chef Jamie Saunders, her experience and genius with flour and sugar is nothing short of amazing. I’ve had a fair number of waffles in my life but nothing quite prepared me for the Johnny D’s experience. Opting for the seasonal pumpkin waffle, what soon arrived was unlike any other waffle I’ve enjoyed before. Far from being tough or chewy, this delicate waffle was light and delicious, melding into the butter and syrup perfectly. It was a completely unique bite and one I hope to enjoy again. This IS Myrtle Beach after all, so I’d be remiss if I didn’t mention a couple of beachy establishments where you can enjoy some fantastic pre- (or post) dinner cocktails. Run by the same management team, I stopped by two hotspots located next to the main boardwalk area. The Chemist is all about creativity and they have embraced their self-imposed theme with gusto. With drinks like the Flux Capacitor and the Molecular Mule, these are libations the likes of which you’ve never before seen. They also make many of their own tipples, including a robust Fireball that has to be experienced to be believed. Add in clever menu items that taste great, and it’s the ideal way to start an evening. Just a five-minute walk from The Chemist is their partner restaurant, ART Burger-Sushi Bar. The name comes from their commitment to featuring fantastic local artists who might otherwise never be known, a feature I noticed as soon as I walked in. Covering every inch of wall space are paintings and other artworks, all created by locals and all for sale. It’s a fantastic way to highlight community initiative, and set the tone for a delicious meal. As the name would suggest, at ART the burgers are creative and tasty and the sushi menu robust. They also feature something a little bit different, a liquid nitrogen bar. If you order one of these molecular gastronomy drinks, you’ll be treated to a show as the unique cocktail is made in a flurry of mist and smoke. It’s a fun addition to what truly is a delicious meal.